I thought I would document this build in a single post. It's my first use of Photo Etched parts. Not bad. I assume your going to paint the gold on the seat. So a couple of lessons learned so far. 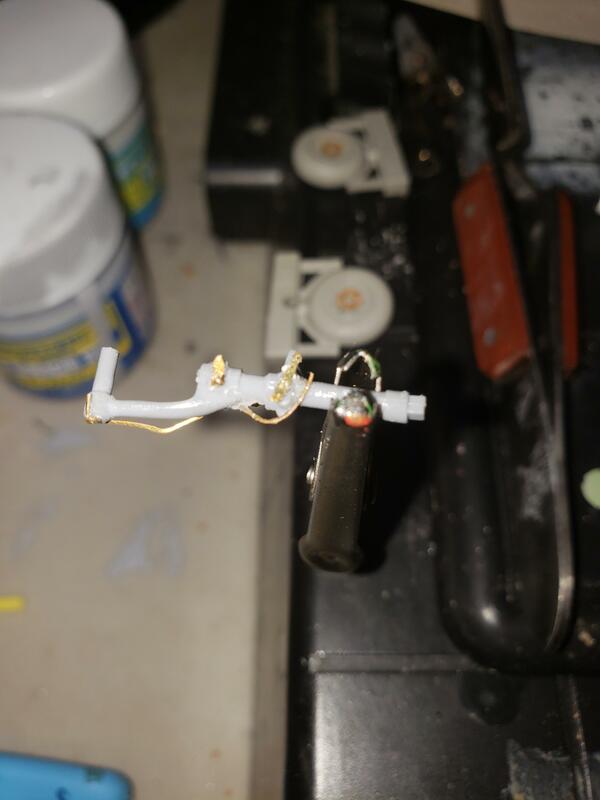 1) PE parts are small and difficult to hold on to. I've dropped more than a few. 2) The EDUARD instruction sheets are not the easiest to read, and I need to spend more time studing them and identifying where the PE goes. I initially did the wheel well backwards. It would be helpful if the added the model instruction step where to apply. 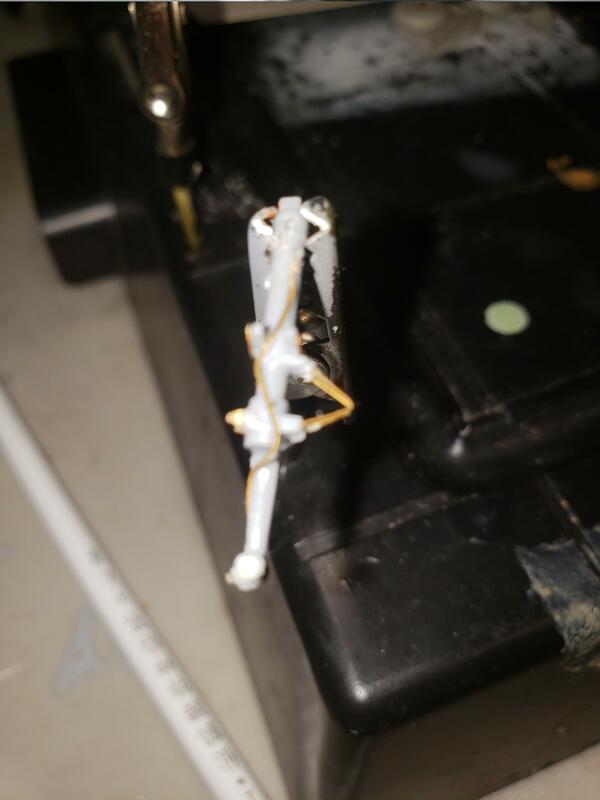 Instead of holding the PE parts in your hand and trying to form them (if that's what your doing), lay them on your bench and use standard razor blades to bend the PE part(s) into position. Eduard IMHO is one of the best in PE parts, and with time you will come to understand their instruction sheets and their placement. Don't let these discourage you from future PE builds. Definately not holding by hand. Trying wax pencil, tweezers and jewelry pickups. 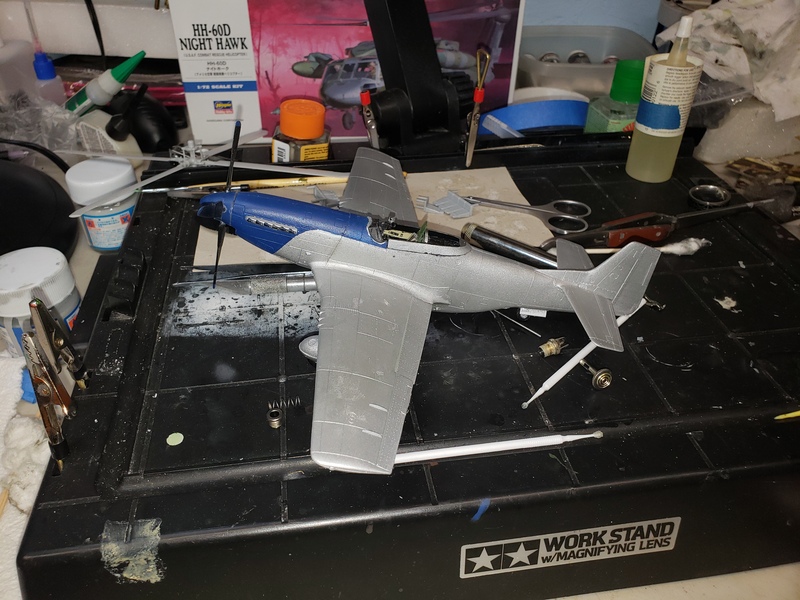 Here is the landing gear I am currently working on. 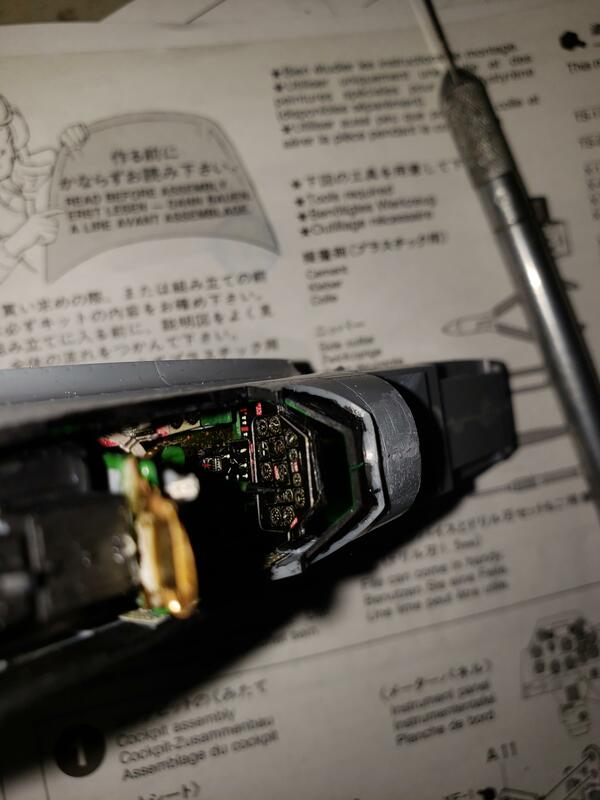 Before cutting tiny PE parts off the sheet, I put a piece of Tamiya masking tape under them, and press them down. 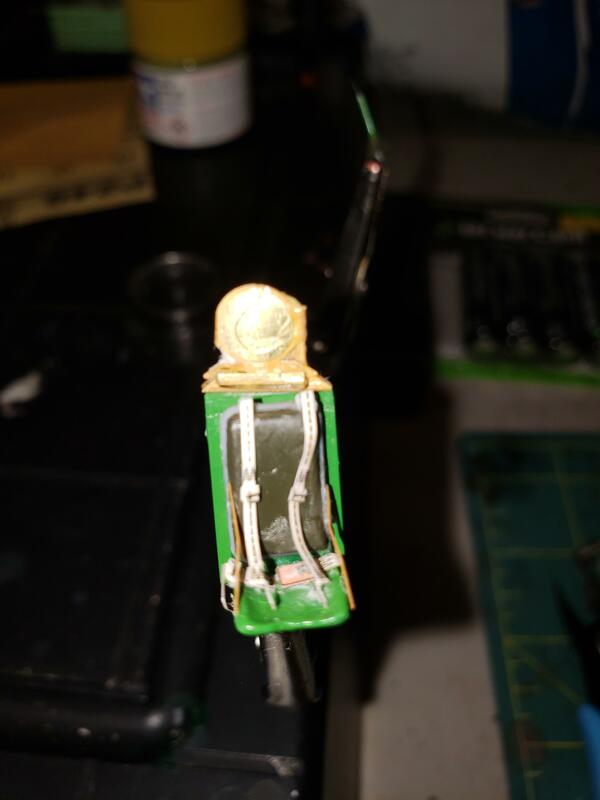 Then I cut them from the little attachment points, and remove the tape with the part(s) stuck on it. It is then easy to lift each part from the tape with a fine point tweezer. No more launched tiny bits! 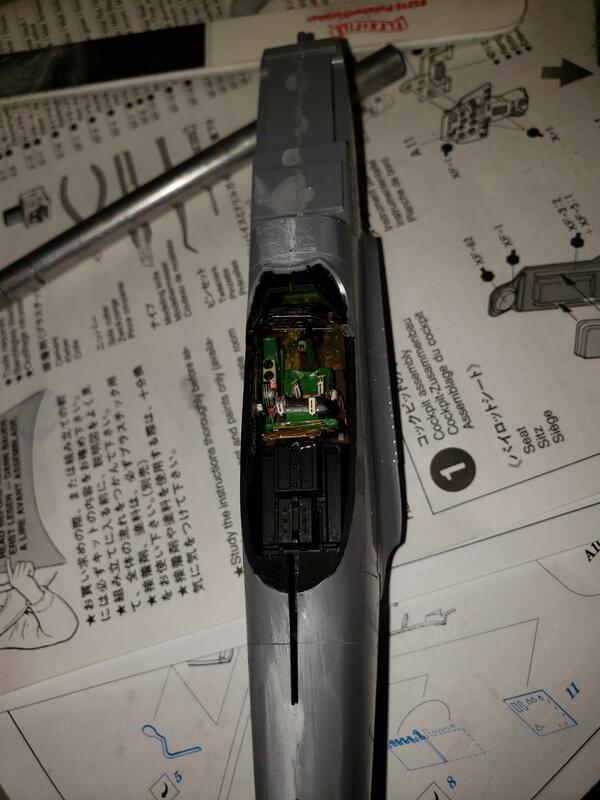 Finished landing gear. Only took about 3 hours. Great idea. Thanks for the tip. I also brush the PE with some vinegar and let it sit for a few minutes then rinse it off. It creates a fine "etching" of the metal so the paint will adhere better. That looks great. I'd be tearing my hair out if I ever tried something so detailed. Can't wait to see more of your build. PE is a pain. That's why I mostly use it for seat belts and instrument panels. You'll improve with practice. Looking good Andy. Here is the wheel well. I initially missed these pieces. OK that's it for the PE. Next step is Metal Cote Spray which I have never used. More lessons learned on the PE. 1) Having the right tools is critical. I lacked micro tweezers and this caused me no small amount of crawiling around on the floor looking for dropped parts. I have a set on order now. 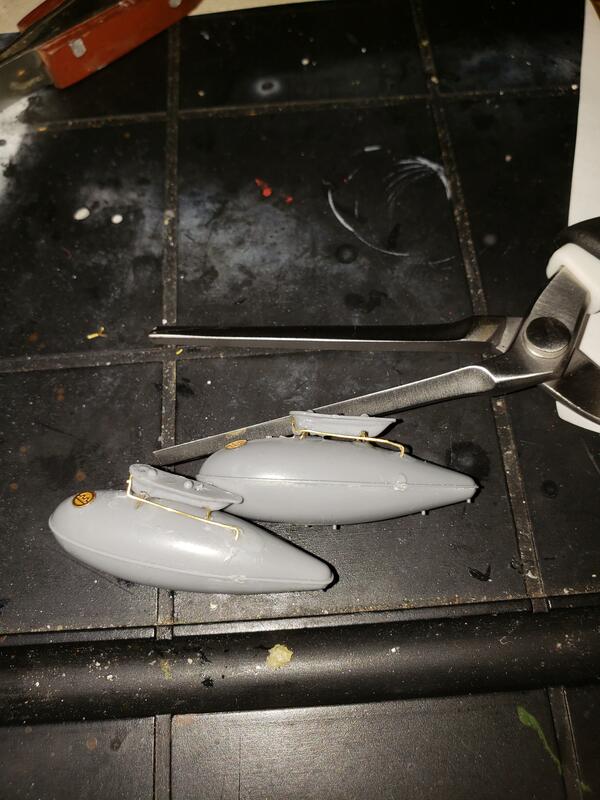 2) Of all the ways I tried cutting the PE the Tamiya PE scissors was by far the easiest and best. All in all the PE looks great, however it is expensive and time consuming. 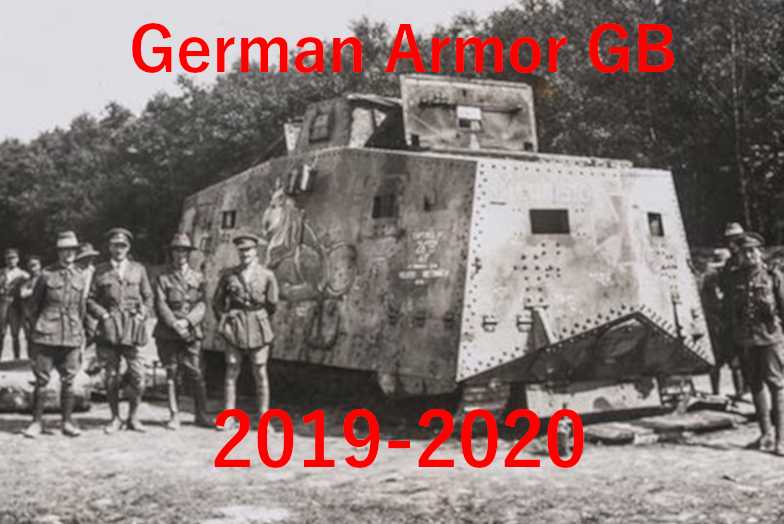 I will use it in the future but only on selected kits. On to the Metal Cote. 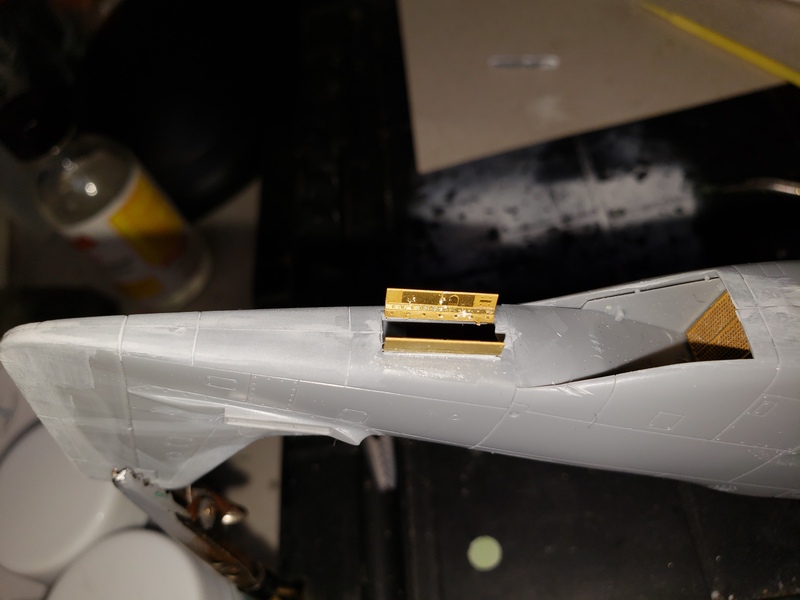 Here is the fuselage primed with Krylon colormaster. 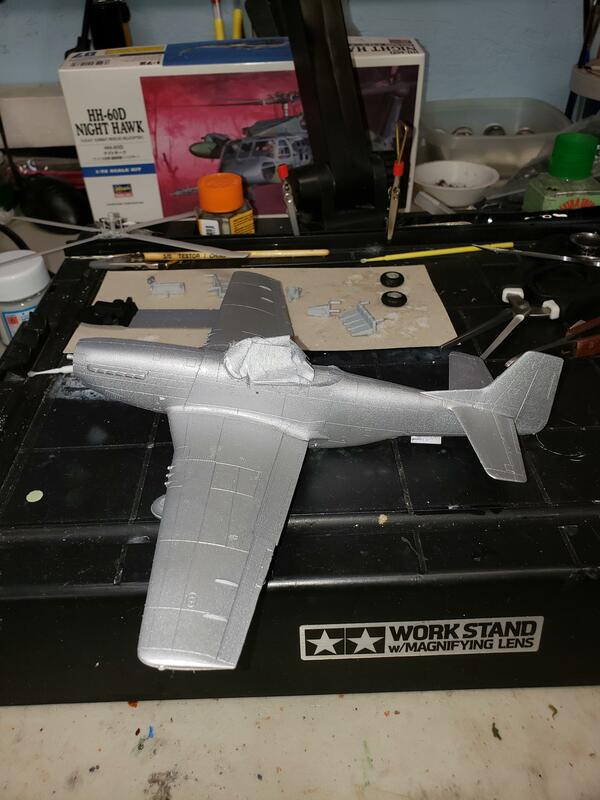 Here is the model with the metal cote applied and dried overnight. Next is the buffing stage. Nice work so far Andy! I really like the fuel tanks. It's that kind of detail that really makes a difference with the finished model. 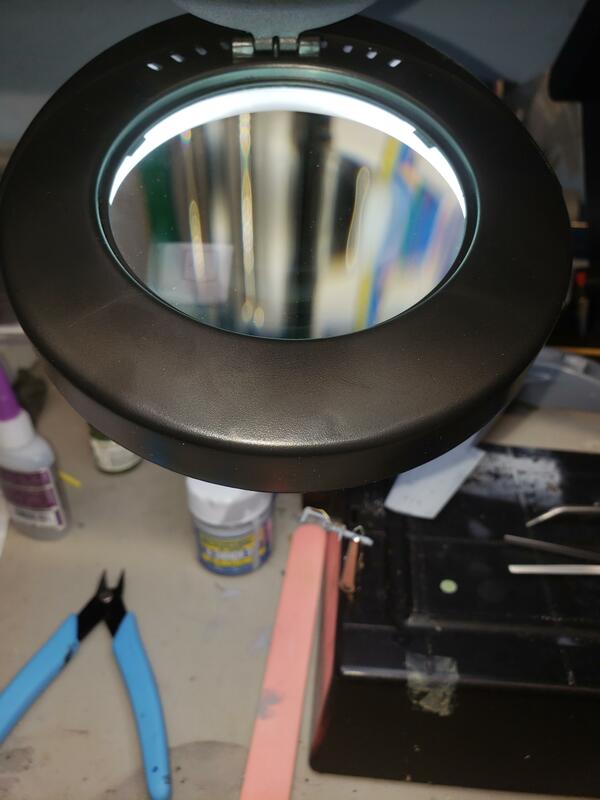 Looking forward to seeing how the Metal Cote comes out buffed! 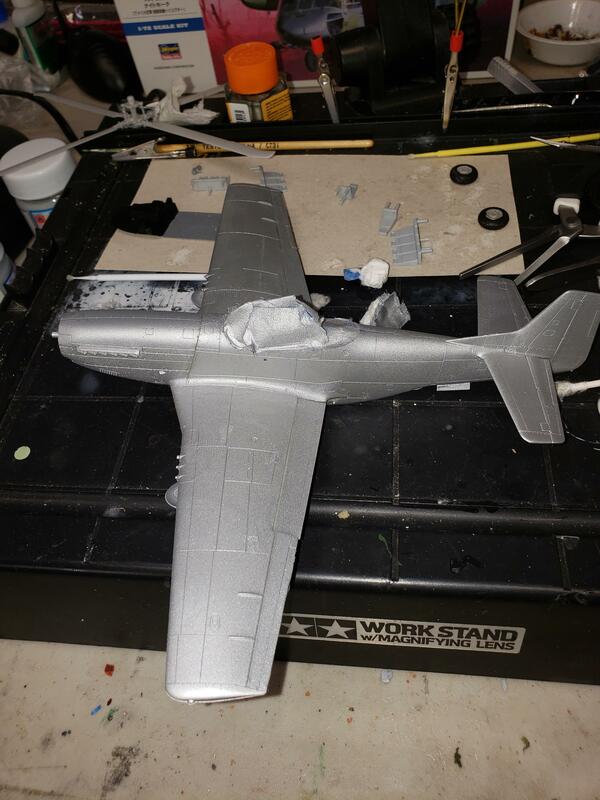 Your Mustang build is looking really good! 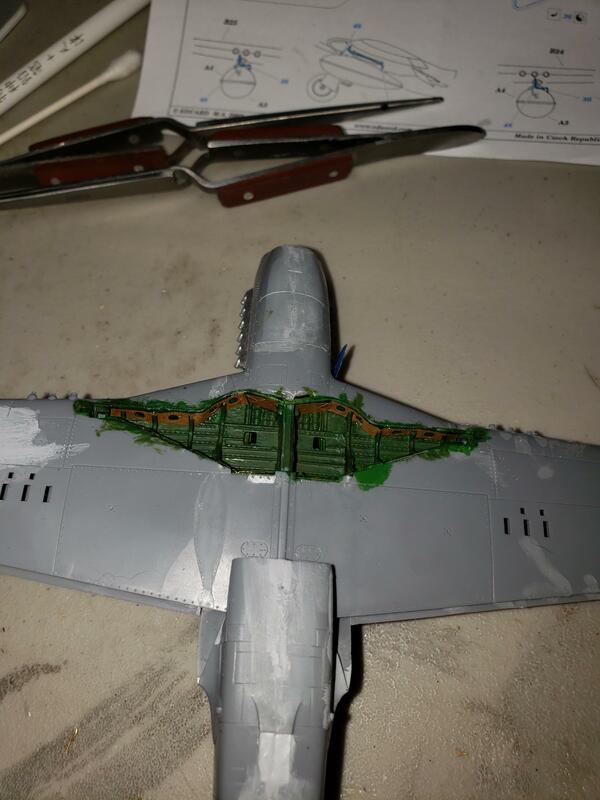 One small note, the wing skin panels on the real P-51 were puttied smooth to assist with laminar air flow over them. Since you're already "in the paint shop," I wouldn't change a thing. 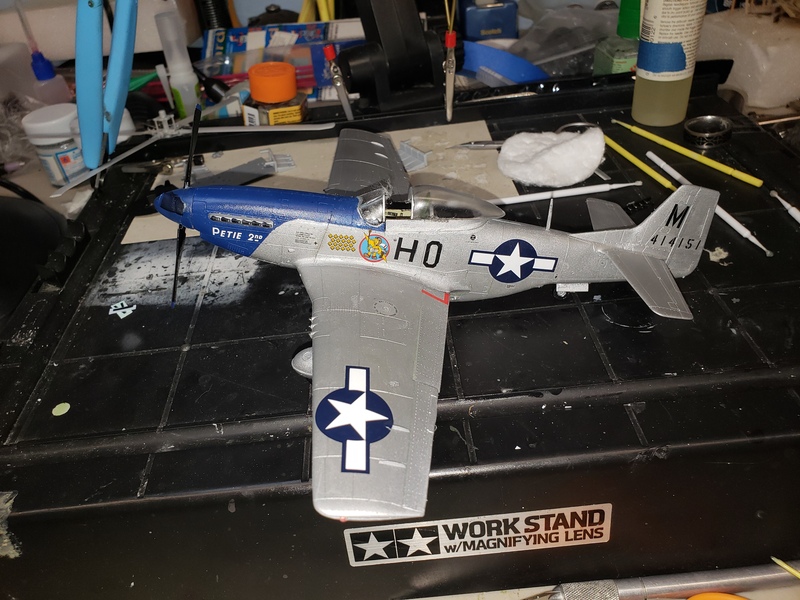 I'm currently building up my courage to do Dragon's 1/32 F-6D Mustang as a post war RF-51D with Eduard's "Big Ed" detail set and cast metal landing gears. 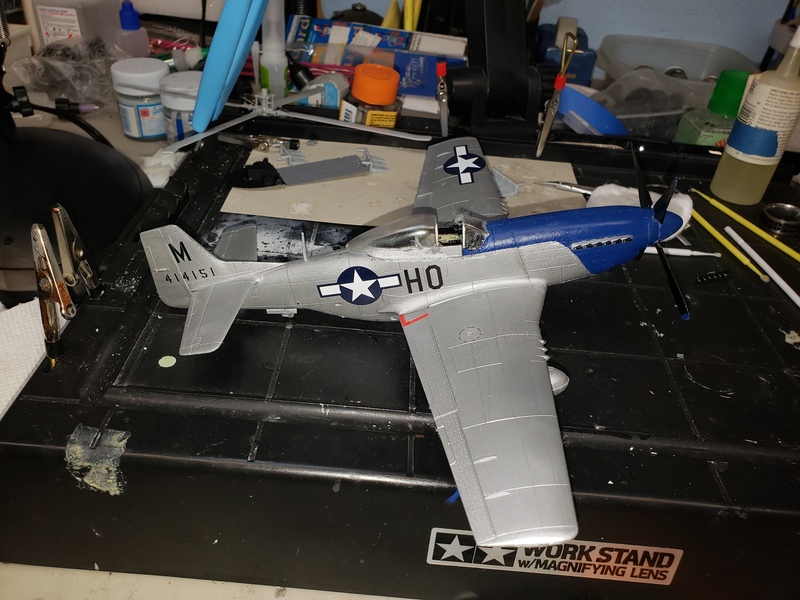 I'm going to call it MY Mustang since my Dad was the Crew Chief and I used to sit in the cockpit as a two year old and pitch a fit about being pulled out of it. It's serial number was 511659, side number was FF-659. 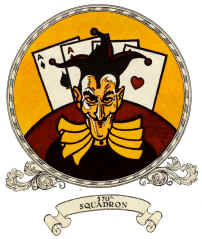 15th Tactical Recon Squadron. Here it is after a light wash of flat black over the panel lines and buffed. The spray went on grainy but buffed smooth with a cotton swab. Enjoying watching your progress. You are doing well. On your coordinating the Eduard instructions with the kit instructions, I guess I always considered that part of the fun. Takes a little bit of studying. As the Drifter mentioned, it'll come easier. 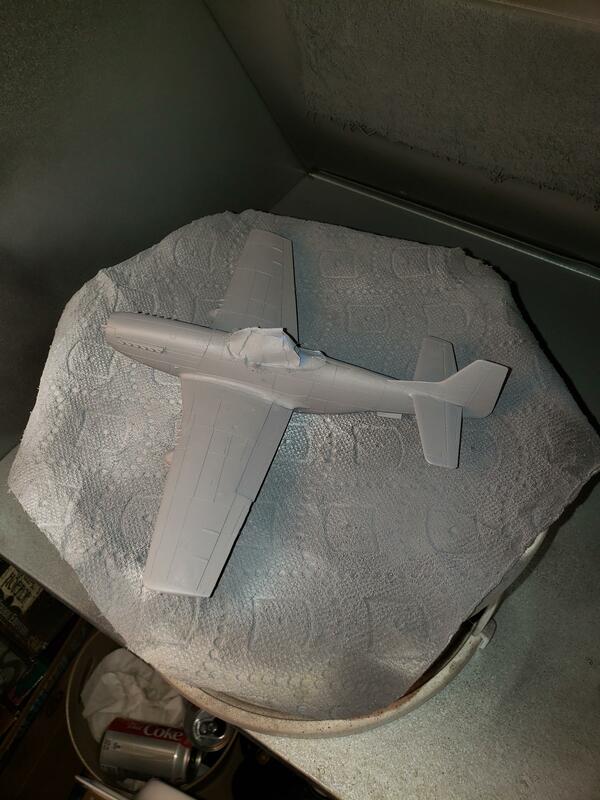 Here she is painted and with a coat of future applied. You’re a brave one using Krylon paints. They’re garbage. 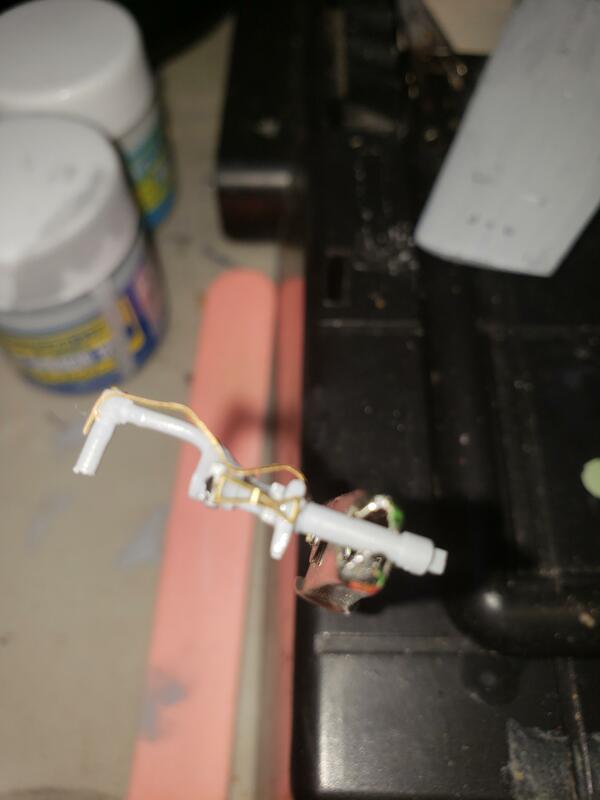 I’ve had enough kits ruined because of that garbage paint. Looking good. Nailed the blue nose pretty well. Is that decal (star emblem) on the wing upside down?